Stockland Green Hills brought to life a new shopping experience with the first stage of the $412 million redevelopment set to open next month. On Thursday, April 27, the centre will unveil the first section of the new mall, which will include more stores, more services and better access for customers. As part of this first stage opening, Stockland Green Hills will open four brand new stores: Cruise Travel, L’Amore Nails, Blooms The Chemist and Toto Sushi. The first stage opening will also see the return of retailers like MyHouse, The Reject Shop, Traditional Medicine, Mister Minit, Newcastle Permanent and the full service Westpac Bank branch. Best&Less, Eyecare Plus, Just Cuts and NIB will also be relocated into the new northern mall along with the CR8 Children’s Play Area. Stockland CEO of Commercial Property John Schroder said as the a result of the redevelopment, the shopping centre will deliver a number of key access improvements for customers by the end of April, including a new centre entry near Best & Less and a direct access pedestrian link to the shops from Mitchell Drive and the bus stop. The centre will also open almost 300 additional new car parking spaces with Park Assist. Upon completion in mid-2018, Stockland Green Hills will more than double in size to around 74,000 square metres. 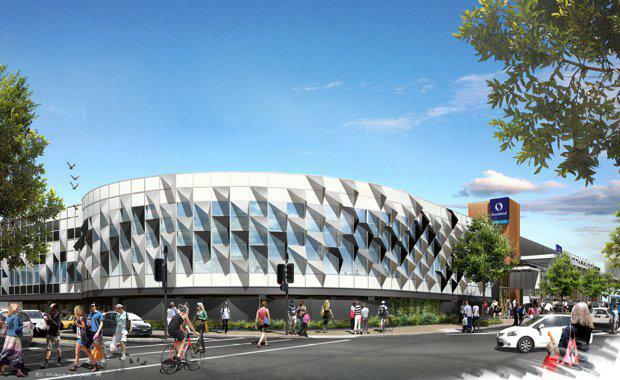 The new centre will feature the first new format David Jones department store in the Hunter, a new 5,900 square metre Target discount department store with innovative store design, a new 900 seat Hoyts cinema and around 225 tenancies, including JB Hi-Fi and Harris Scarfe. The centre will also include a vibrant new dining and entertainment precinct that will be the biggest and best in the region. The Stockland Green Hills development is estimated to generate more than 2,285 jobs – 1,350 jobs during construction, 1,250 direct, new, full time jobs in retail, customer service and hospitality and an estimated 1,200 indirect jobs for local suppliers and service providers within the regional economy.